Before we talk about the case that led to this particular decision, you will need to know the background behind it. A few years ago, there was a case: West v. Shelby County Healthcare Corporation. In that case, a hospital put a lien on a patient’s lawsuit award because it claimed that the medical bills had not been paid in full. The lien was for the full amount of the medical bills. However, insurance companies never pay the full cost of medical treatment; they pay at a discounted rate. For example, if you walk into the local emergency room to get stitches in your hand, and you don’t have insurance, let’s say the total cost to you is $1000. But if you do have insurance, the “cost” of that procedure might only be, sat, $750. This is because hospitals across the country make deals with insurance providers wherein those providers will have to pay less money for treatments. It is similar, in a way, to joining a place like Costco: you pay a small annual fee, and then you can get your paper towels or your cans of beans in bulk, and therefore at a discounted rate. Insurance providers have hundreds of thousands of members, so hospitals and healthcare facilities give them a discounted rate. 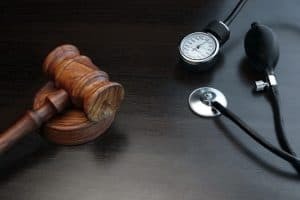 The Dedmons appealed the decision and won, because the Tennessee Court of Appeals said personal injury cases were different, and that any plaintiff (in this case, Mrs. Dedmon) should be able to submit bills for medical expenses in their entirety. The defense disagreed, and took the case to the Supreme Court of Tennessee. This is a very important decision for personal injury victims. As “tort reform” keeps creeping into legislation throughout the country, and as we see more and more victims’ rights be pushed aside, today’s decision is a crucial win on behalf of our clients, and for families everywhere in Tennessee. At Wagner & Wagner Attorneys at Law, we are proud to fight on behalf of the injured, and to help our clients secure a better future for their loved ones and themselves. If you have been hurt because of someone else’s negligence, please call 423-799-3532 or fill our contact form to schedule a free consultation at our office in Chattanooga. We take cases on a contingency fee basis, and represent clients in North Georgia and throughout Tennessee. Are Punitive Damages Available in Personal Injury Lawsuits in Tennessee?